those lips and hips lured both lion and weasel. in emerald and midnight blue conspiracy. to immortality as a pinup saint can get. Kay Day is one of those writers who does it all--poetry, memoir, nonfiction, journalism, technical . . . you name it, she writes it--and does it well. 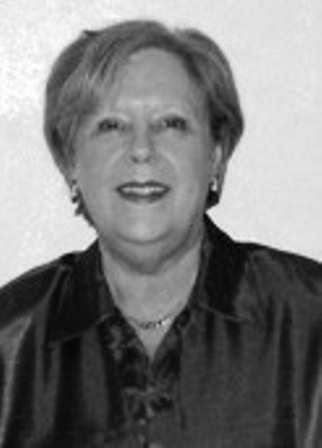 Host of a current events blog called Day on the Day and an arts blog called Indie Art South, Kay is a former columnist for the The Writer Magazine and author of an award-winning poetry collection and a memoir. A former South Carolinian now living in Jacksonville, Florida, her work has appeared in numerous magazines and anthologies and she is a frequent guest lecturer at schools and political and book events. 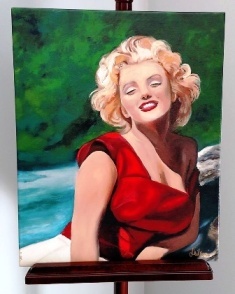 "by the bone china/summer sheen/stroked against a canvas sea/she leans, breathless/flecked with innocence" What wonderful word choices, evocative of Marilyn's sensuality. Well crafted poem. Nice internal rhyme. You captured her. Great last line--"as close/to immortality as a pinup saint can get."